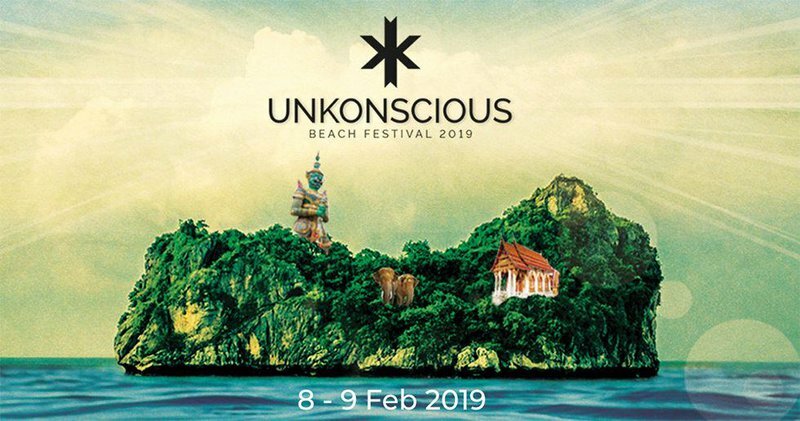 Just in time for the Lunar New Year holiday, UnKonscious Beach Festival will once again eclipse the shores of Paradise Beach on the island of Phuket for one weekend with a trance music festival of epic proportions. You don’t even have to take a break from the music to enjoy the beach - within earshot of the stage is the clear blue water and white sand that can only be found in Paradise. Located in a pristine, private beach location just 8 minutes away from world-renowned Patong Beach, be sure to take advantage of the complimentary shuttle bus service with specified drop-off locations to and from the main tourist drag of Patong. UnKonscious Beach Festival was founded with the vision of bringing together Trance families from the Asia-Pacific region while spotlighting international music labels to expose and further introduce this unique music genre. As a cherry to top off the trance sundae of sand and sea, everything you will need to enjoy the festival in comfort is easily accessible. This includes all the luxuries of resort life in Phuket, like massages and even a tattoo parlor. Not to mention the unparalleled stages, lighting design, and sound system. Serving up the sounds for day one is Black Hole Recordings with headliner Giuseppe Ottaviani, and support by Cold Blue, Craig Connelly, Sneijder, Roger Shah. Day two showcases a handful of talent curated and headlined by Open Up podcast founder and organizer Simon Patterson, including the cosmic trance vibrations of John Askew, Sean Tyas, and Greg Downey to astral project the beach into the star-lit sky and get your feet stomping in the sand grains. Anyone attending UnKonscious Beach Festival should also consider the plethora of daytime activity options in Phuket like island hopping by boat, snorkeling, ATV, cooking classes, boxing classes, and more! Just be sure to make it back to Paradise Beach in time to end the night with the finest Trance DJs and producers on the planet.